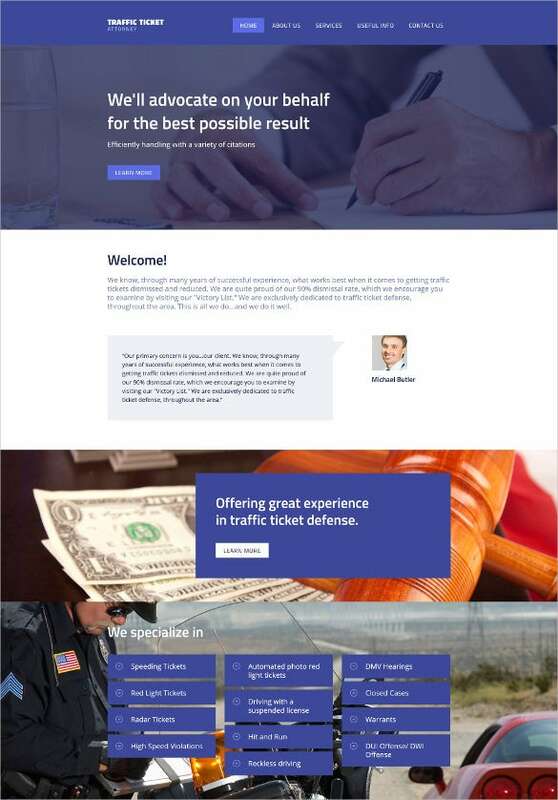 The Law & Legal Website Themes & Templates are created in order to ease the labor put forward by the law agencies, law firms, traffic ticket attorney, and law offices. These templates have multiple column layouts and are well documented. 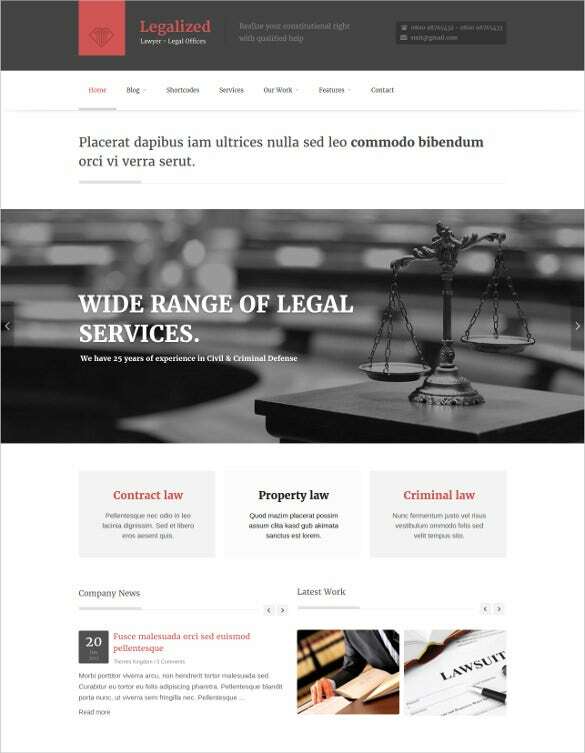 With exciting features like sliced PSD, Favicon, Google Maps and many more, these templates are ever ready to display the content in list and grid views.You May also Visit Law & Legal PHP Themes & Templates. 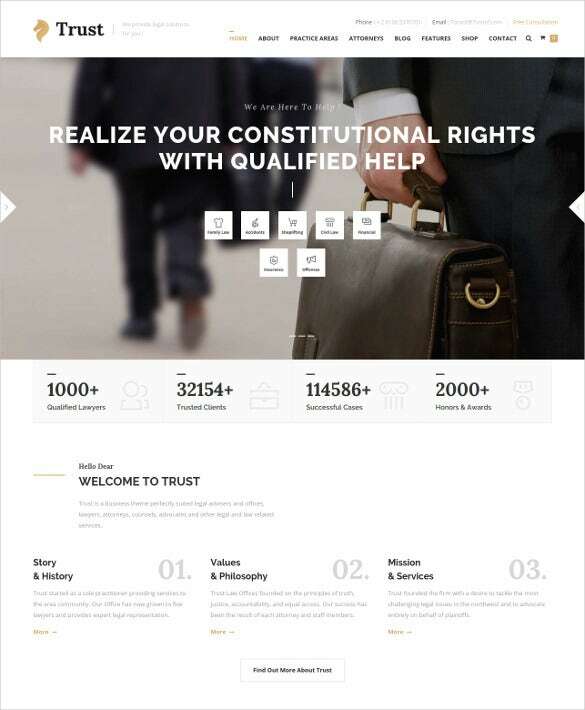 This sample of law & legal attorney website template is a fully responsive theme ideally suited for attorney’s and law firms. The theme is compatible with all major browsers and comes equipped with a whole new range of Google fonts. Other features included in this theme include a dark blue color scheme along with a contact form and on-line chat facility. 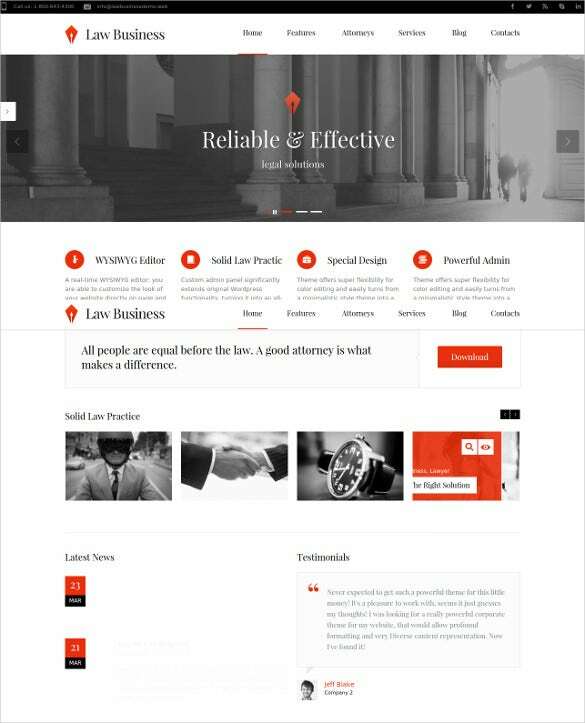 This sample of law & legal responsive WordPress website theme has a clean and professional look, which can aptly highlight the special features of the website. The theme comes with a layer slider and visual composer options. Other features includes multiple galleries, consultation form and unlimited color variations. 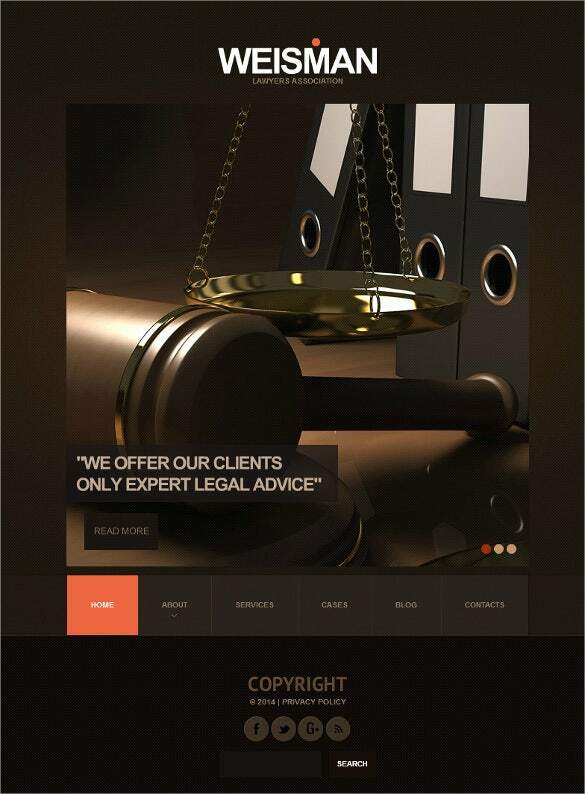 This sample of law & legal attorney’s business website theme is specifically designed to meet the varying needs of advocates, legal advisers and attorneys. The theme comes with three different and extremely handy sliders which includes a page builder plug-in, mail chimp plug-in and WPML multilingual plug-in. 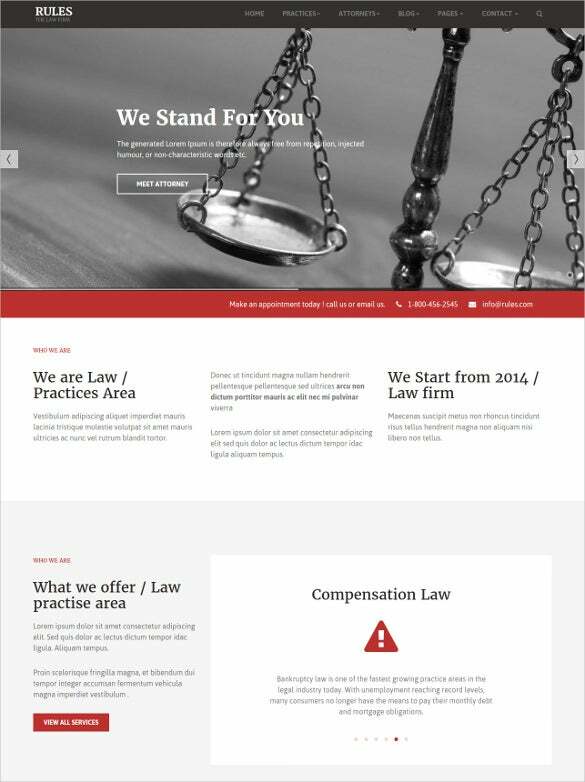 This sample of law & legal firm flash cms website template is a cross browser compatible and highly compatible theme which boats of a very professional look. The theme has multiple slider and gallery options along with a wide variety of widgets and modules. The theme has a compatible mobile version and uses Flash for animation purposes. 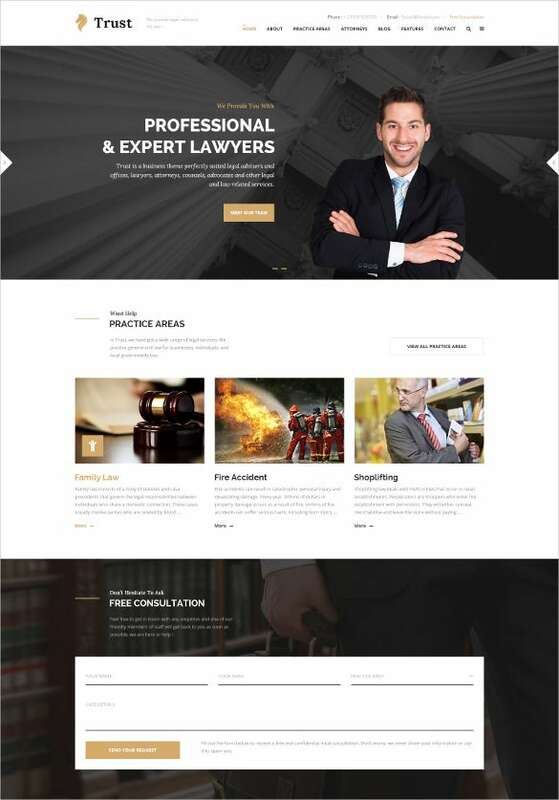 This sample of law & legal business WP website theme is a clear and multipurpose theme which is suitable for any kind of legal and financial activity. 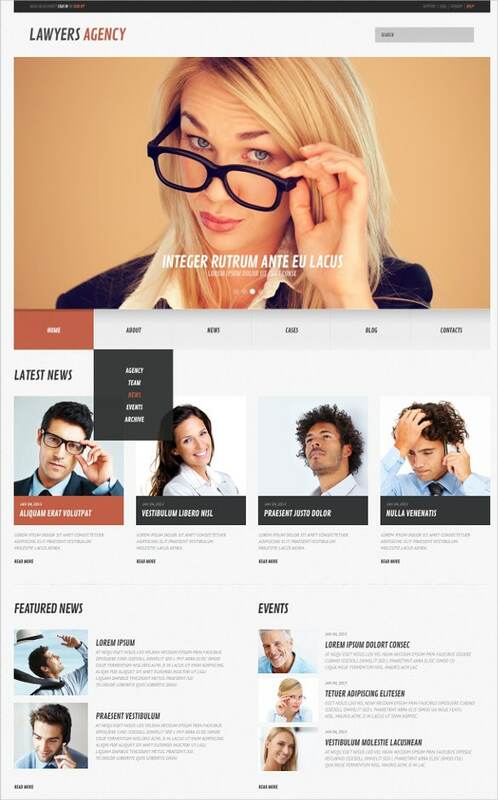 The theme is available both HTML and PSD version. The theme also supports 15 different types of multi concept demos along with a sharp and retina ready feature which would enable a very bright and crisp view of all your content. 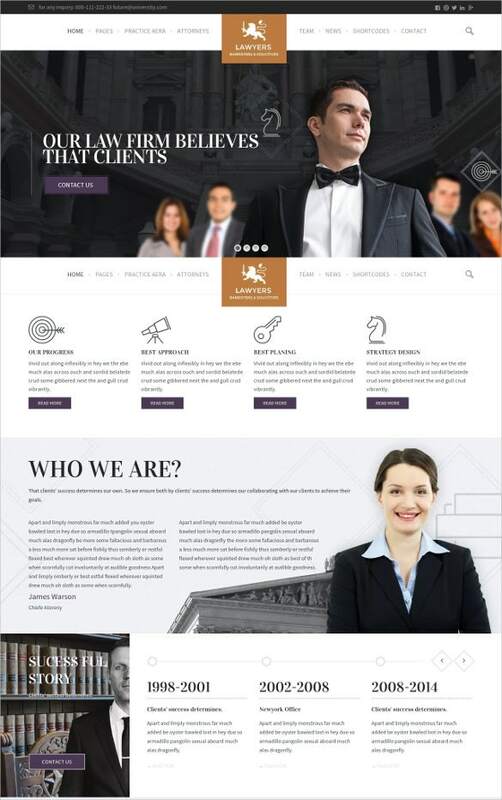 This sample of law & legal business Psd website template consists of multipurpose theme which comes with a unique auto install feature and integrated slider design. Other features of this theme includes , short codes, multiple sidebar, drag and drop slider management, automatic image resizing, custom widgets and easy to use theme options panel. 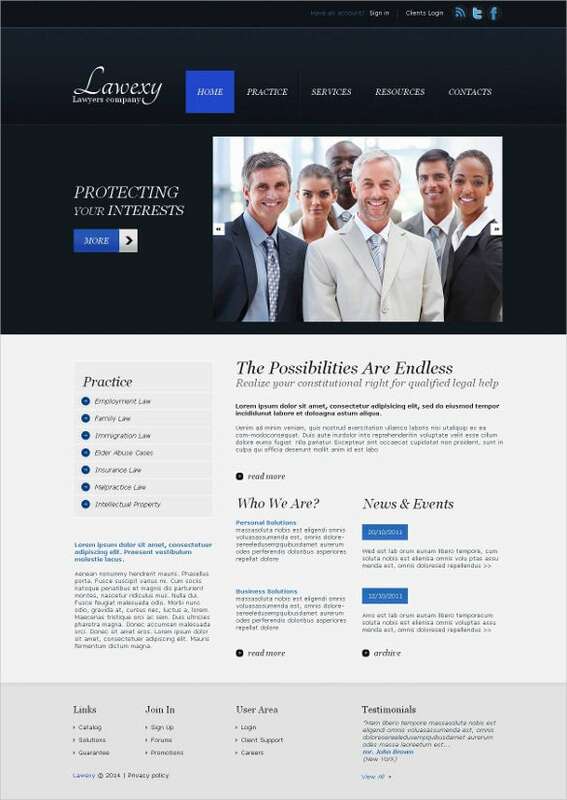 This sample of premium law & legal website template is built using the HTML5, CSS3 and Bootstrap technologies. Besides these features, the template also supports 3 Practice Style Template, 2 Lawyer Style Template and a whole new range of Google web fonts and well organized icons. 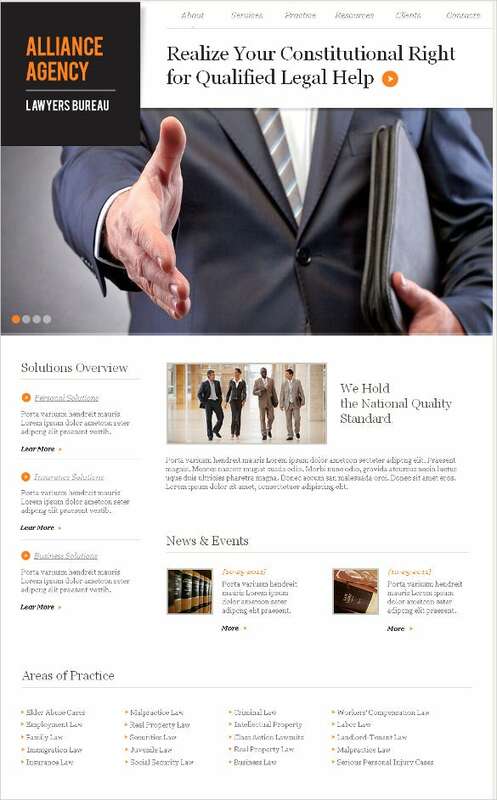 This sample of law & legal business WordPress website theme is ideally suited for large law firms or attorneys with a huge volume of work. The theme supports a gallery of services and has all the necessary functionalities to present legal services online. The USP of this theme is a custom visual composer and easy to use drag and drop feature. 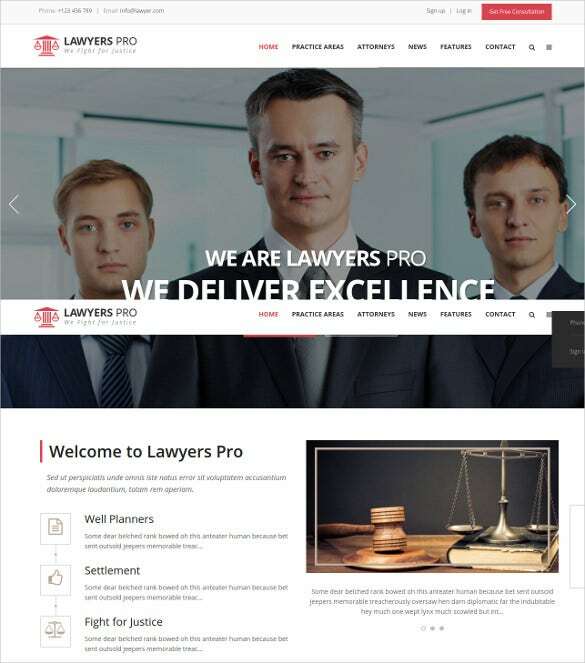 This sample of professional law & legal WordPress website theme has a responsive design, which means irrespective of the device, the visitors gets to enjoy all the features of the website. The template has a unique page builder which helps to create a unique home page, with just a few clicks. 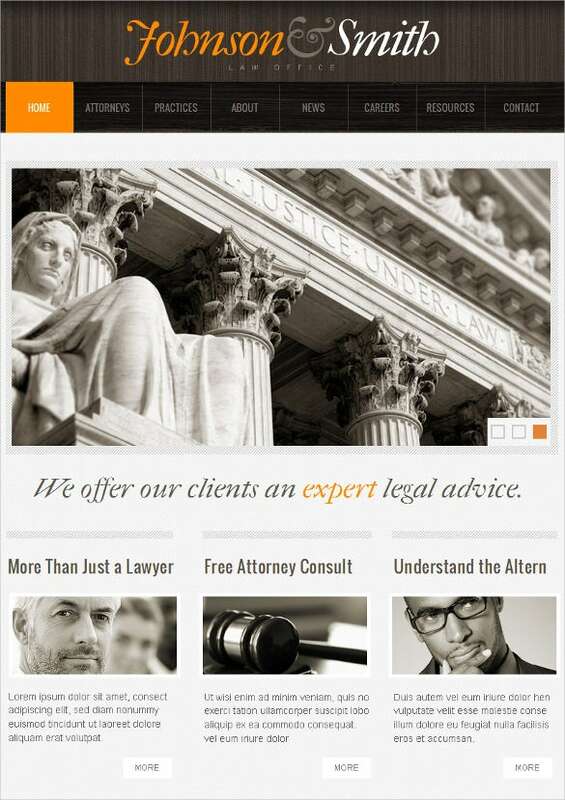 This sample of law & legal press WordPress website theme sports a modern and clean look. 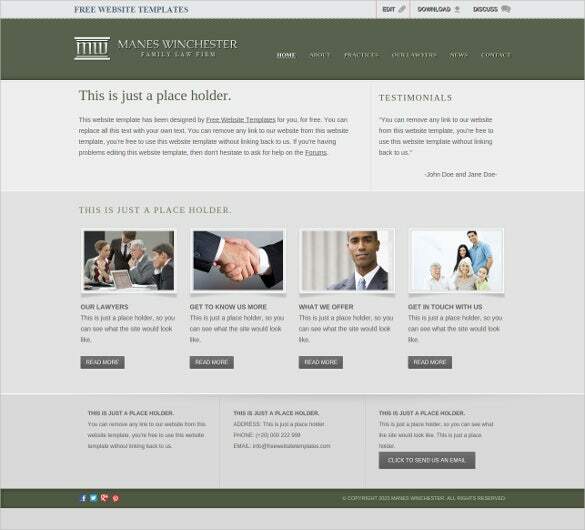 The theme is ideal for showcasing the portfolio of the lawyers and for blogging purposes. The theme also sports a number of cool features like SEO optimization, translation support, revolutionary slider and a host of transition effects. 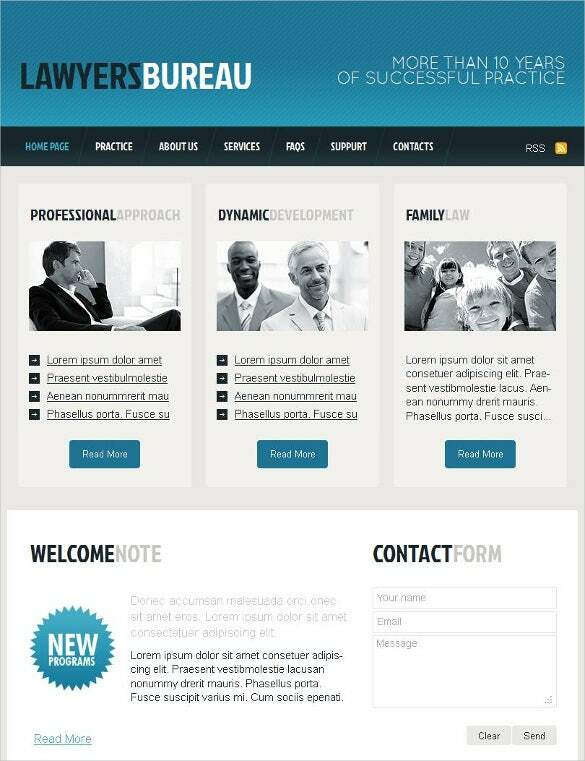 This sample of law & legal facebook html cms website template is perfectly suited for corporate as well as legal firms. The clean and professional design of the website emphasizes on the content of the site. Additional features include SEO optimization and support for Jquery effects. 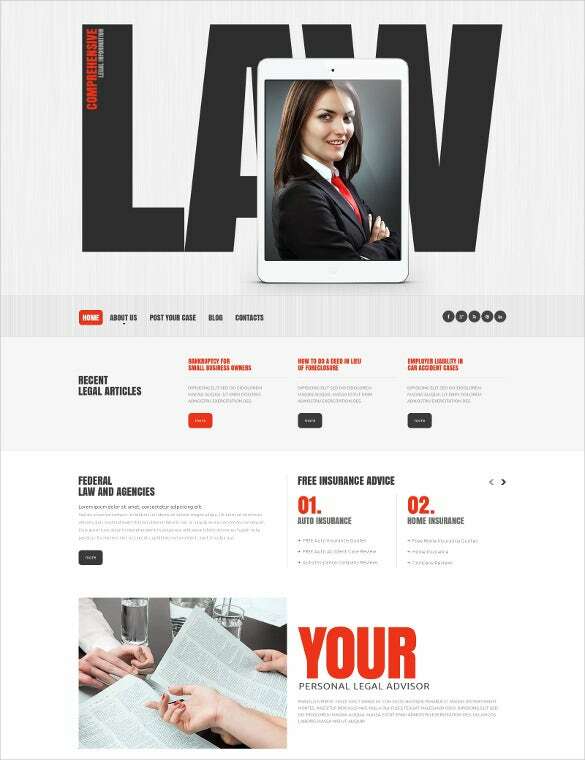 This sample of law & legal business html5 website template contains all the necessary functionalities that are necessary for a legal website. This theme is especially well known for its simplicity of customization. The theme facilitates the creation of great short codes and attractive pages. 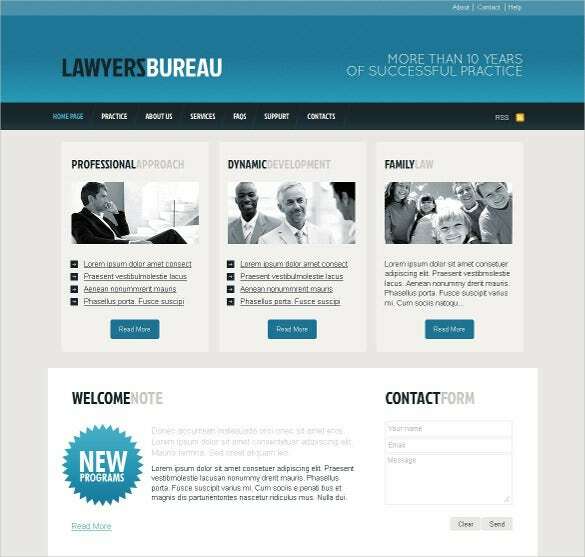 This sample of simple law and legal free website templates is well suited for providing advice to business clients and customers. This theme simple design clean layout provides the website with a professional look. Additional features included in this template include multi level navigation, text sliders and Google map integration. 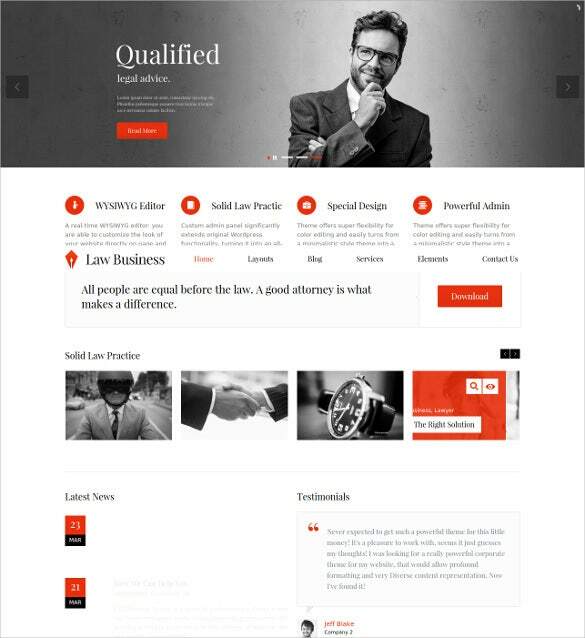 This sample of law & legal moto cms html website template is well documented design and consists of semantically awesome code based on moto CMS and HTML themes. Additional features include easy to use contact forms, social icons and dedicated blogging page. 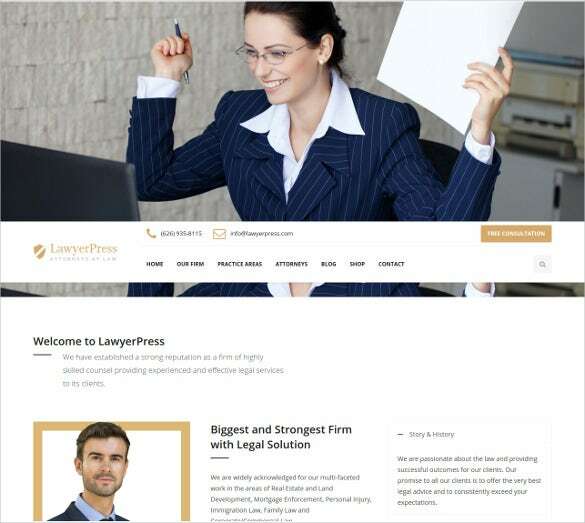 This sample of law & legal firm WordPress website theme comes with a fully editable design along 80 different short codes and a filterable portfolio. The theme is SEO ready and offers users with custom typography and fantastic range of sliders. 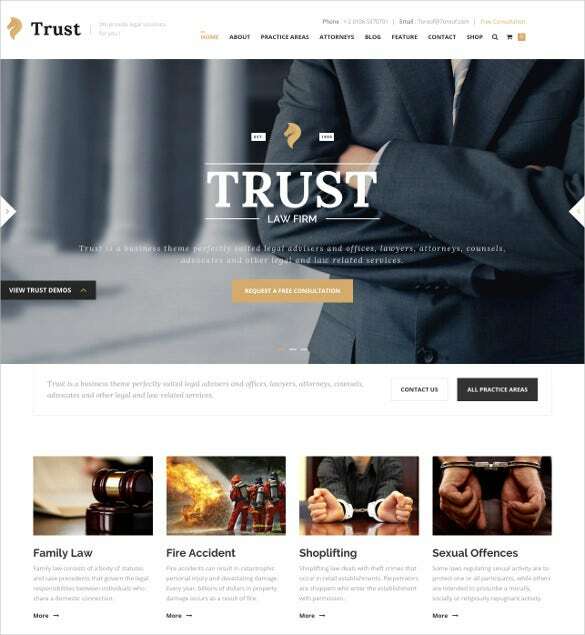 This sample of law & legal trust html website template theme is designed to meet the needs of corporate as well as lawyers and advocates. The theme comes with a handy drag and drop editor along with preset builder which can be used to customize the icons and widgets in the website. This sample of law & legal corporate moto cms html website template comes with a highly customizable color, design, font and typography options. The theme also consists of 100% responsive and retina ready features along with different slider and gallery options.